CARFAX One-Owner. Clean CARFAX. 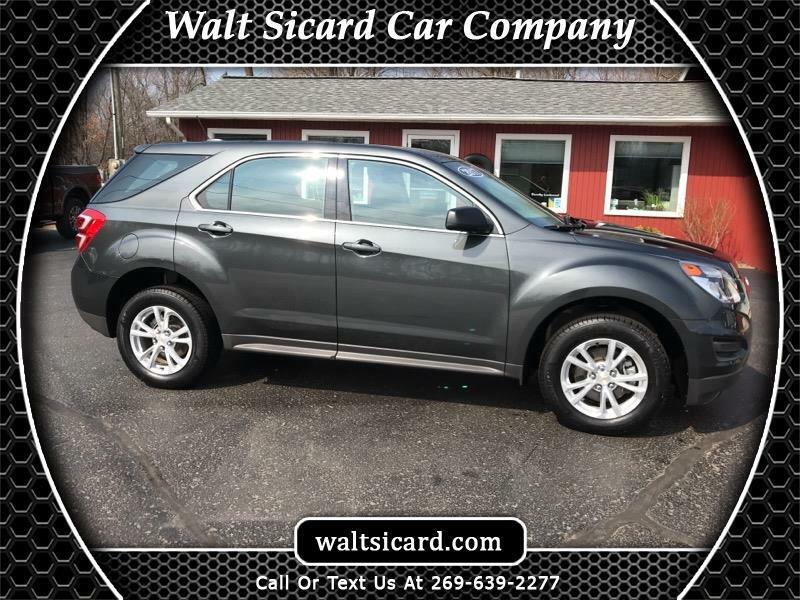 Gray Metallic 2017 Chevrolet Equinox LS AWD 6-Speed Automatic with Overdrive 2.4L 4-Cylinder SIDI DOHC VVT 2017 Chevrolet Equinox LS in Gray Metallic, Sought After Options Include, **STILL UNDER FACTORY WARRANTY**, ** FULLY SERVICED **, AWD, Deluxe Front Bucket Seats, Exterior Parking Camera Rear, Preferred Equipment Group 1LS, SiriusXM Satellite Radio.